Responsive launching soon page for an upcoming financial planning app called ‘Harpoon’. A super clear and legible Landing Page, exactly how they should be. 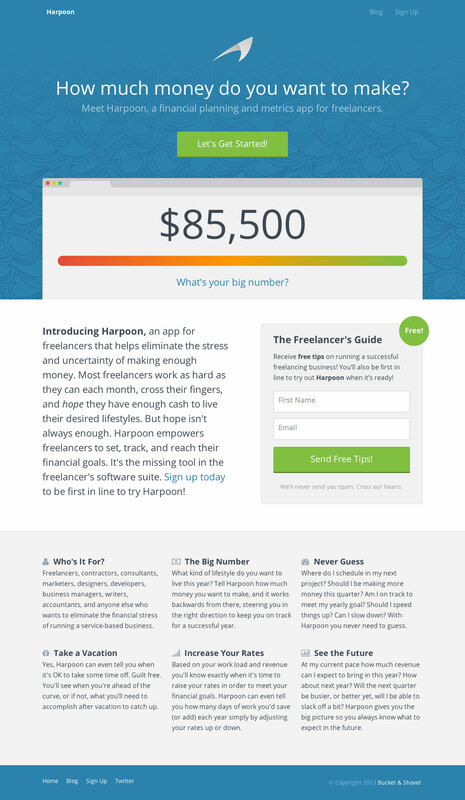 Harpoon is a financial planning and metrics app for freelancers. Build a budget, set financial goals, schedule your projects, track your revenue, make more money, and take a vacation.